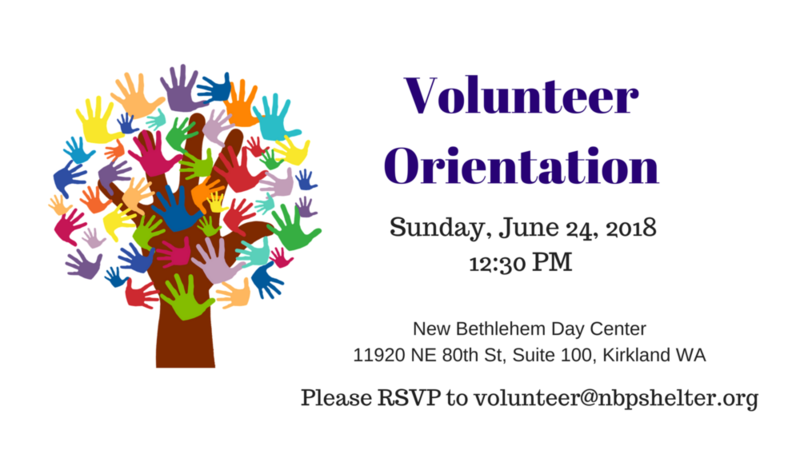 Interested in volunteering at the New Bethlehem Day Center? Join us for our upcoming Volunteer Orientation! 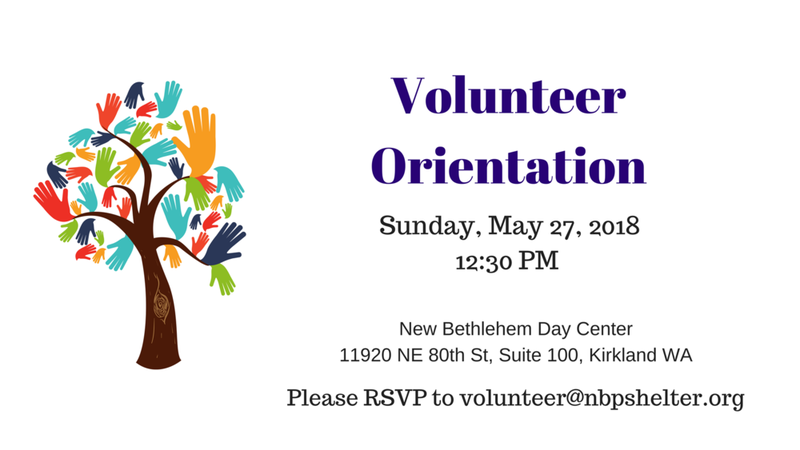 Register here or RSVP to volunteer@nbpshelter.org to sign up. Thank you for partnering with us to make a difference for homeless families with children. Read the latest news about the Day Center, our new Program Manager, the opening of a Case Manager position, and the Eastside CARES campaign. Summer greetings New Bethlehem supporters! Learn more about our June & July activities at the Day Center, a tribute to our first Volunteer Coordinator, some recent generous donations to NB, and current volunteer opportunities. April was again a busy month. Read more about news at the Day Center, GiveBIG 2018, the proposed floor plan for the new permanent shelter, the Neighborhood Forum at Salt House Church, and volunteer opportunities at NBDC. 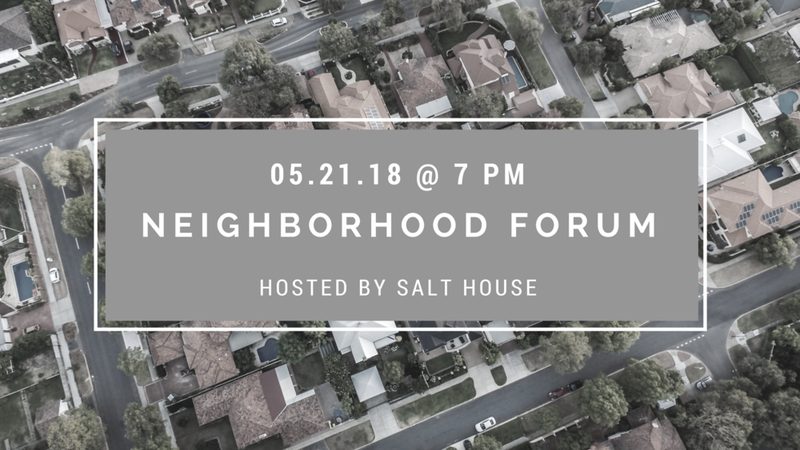 Salt House Church, which houses the Day Center, is hosting their semi-annual Neighborhood Forum on Monday, May 21 at 7 PM. Join us for updates about the Day Center, permanent shelter progress, and Eastside CARES campaign! Sign up with your email address to receive news and updates about the New Bethlehem Project. Thank you! You have been subscribed to the NBP newsletter.